Not far from the Vancouver headquarters of my company is one of the world’s largest granite monoliths. The Stawamus Chief rises more than 2,000 feet above Canada’s Howe Sound in a nearly unbroken vertical face. It’s a magnet for mountain climbers from around the world, who test their grit on its immense walls. I got into rock climbing over a decade ago, as a way to hang out with friends, get away from it all and blow off steam. And I thought I’d gotten pretty good at it. But, then on a recent climb, when I was literally just a few hundred feet from the summit of the Chief, I ran into trouble. 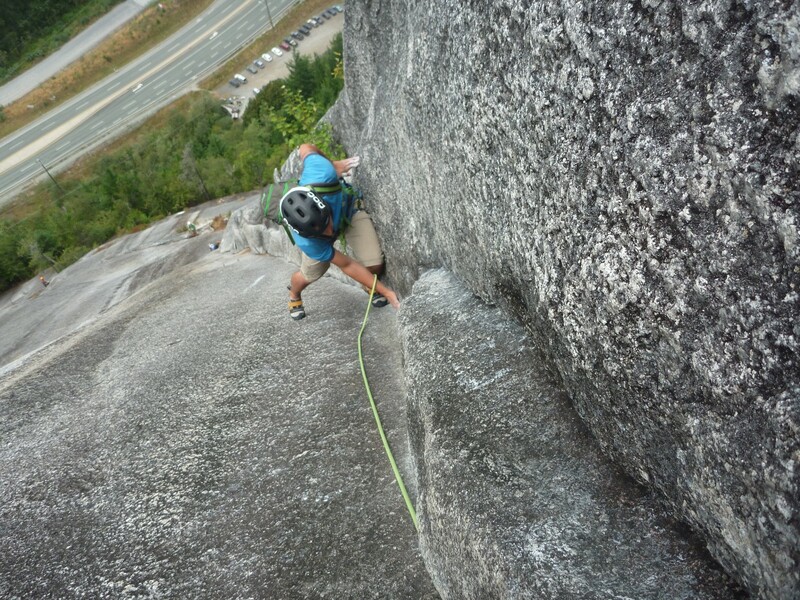 After a full day of climbing, I suddenly found myself on an exposed, overhung pitch where the rock angles outward, so you’re literally dangling over the abyss. Complicating things, I was nearly at the end of my climbing rope, which meant a 20-foot plunge to my last piece of protection (or worse) if I lost my grip. That’s when, from the corner of my eye, I saw a tiny figure inching his way up from below, steadily, insistently, completely absorbed in the climb. He gave me the slightest nod as he passed by, finding a handhold on the difficult face and clambering up, over and onward in one motion. I could only stare. He wasn’t using any ropes at all. Seeing that free climber really put into perspective the highs and lows of startup life for me. After all, while life as an entrepreneur can certainly be stressful and the pressures can be enormous, they’re rarely life or death. I decided (after regaining my grip, of course) that instead of panicking, freezing up and dangling over the abyss, I’d try to enjoy the climb. And I know climbing mountains is a tired old cliche for the struggles of starting and growing a business. The point here is it’s also always important to get away from your desk and see the world from different ledges and angles—whether it’s from a plane, a bike, a new city … or on the edge of a 2000 foot cliff. In 2006, Ernst & Young did an internal survey and discovered that for each additional 10 hours of vacation time their employees took, their year-end performance ratings from supervisors improved by 8 percent. People who took more holidays were also found to be less likely to leave the firm. What experiences help you maintain a healthy perspective? What do you do to keep from slipping over the edge during stressful times on the job?